Clive Walker is Professor Emeritus of Criminal Justice Studies at the School of Law, University of Leeds, where he has served as the Director of the Centre for Criminal Justice Studies (1987‐2000) and as Head of School (2000‐2005, 2010). 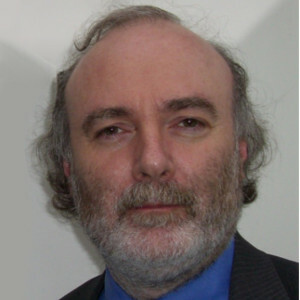 He has written extensively on terrorism issues, with many published papers and books not only in the UK but also in several other jurisdictions, especially the USA. In 2003, he was a special adviser to the UK Parliamentary select committee scrutinised what became the Civil Contingencies Act 2004, from which experience he published The Civil Contingencies Act 2004: Risk, Resilience and the Law in the United Kingdom (Oxford University Press, 2006). His books on terrorism are recognised and cited widely and include Terrorism and the Law (Oxford University Press, 2011), The Anti‐Terrorism Legislation, (3rd ed., Oxford University Press, 2014), the Routledge Handbook of Law and Terrorism (Routledge, 2015), and the Palgrave Handbook of Criminal and Terrorism Financing Law (2018). He was appointed in 2010 by the Home Office as Senior Adviser to the Independent Reviewer of Terrorism Legislation. He became a Queen’s Counsel (Hons) in 2016.